I see the following from a list of news stories. I searched the app store and this does not exist. Last edited by Honey Beagle; 07-10-2017 at 11:03 PM. Well Facebook can’t keep all of the fake news for themselves. Annie_8plus, TwitchyPuppy, Sherry_B and 1 others like this. I searcked the app store and this does not exist. It's not on the app store for the same reason Cydia, TweakBox, AppValley, and TuTuApp are not on the app store. Not fake news. Premium1 and ladyc0524 like this. 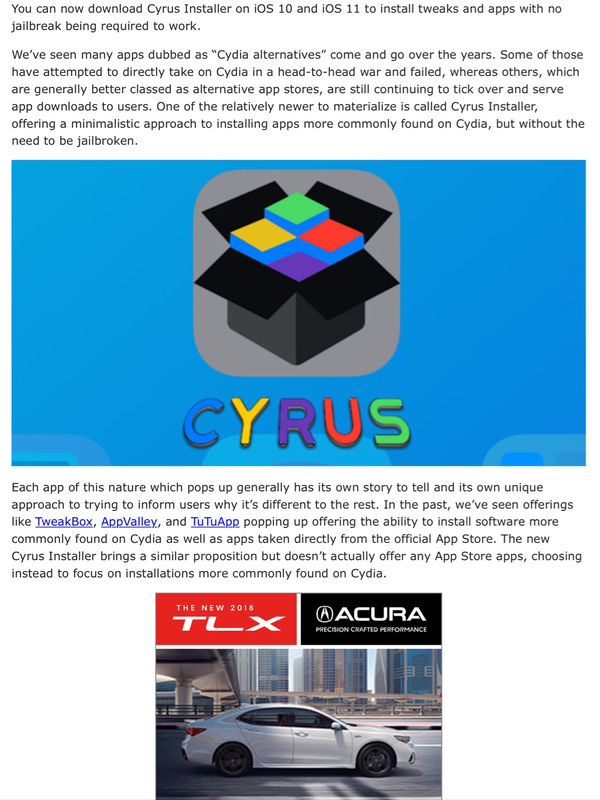 Cyrus is downloaded in the same way enterprise apps are installed. You would need to go to the Cyrus web site for directions. But I doubt it's approved by Apple and may involve risks. Please change the title of this thread. The story is not fake news. This thread is fake news.... Or more like, user ignorance. Please remember to follow P.U.P.P.A.H as stated in the rules. Be a pro -- not rude / condescending. Ty! Just_Me_D, Rob Phillips and ladyc0524 like this. You must have missed Beagle when she was posting a lot. After reading this can be downloaded and installed 0n versions on operating system. Like I wrote I searched the app store and no results.